Was talking only a few days ago about tonnage record-breaking users of the New Dry Dock. 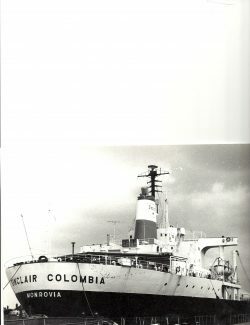 In the 1960s, a few notables included the Kuwaiti tanker KAZIMAH (46,262 deadweight tons), and three tankers on long-term charter to Shell, CAPISTERIA, CAPULONIX and LOVELLIA (all around 47,100 tons), but when SINCLAIR COLOMBIA arrived in 1968, it exceeded these by quite a margin. 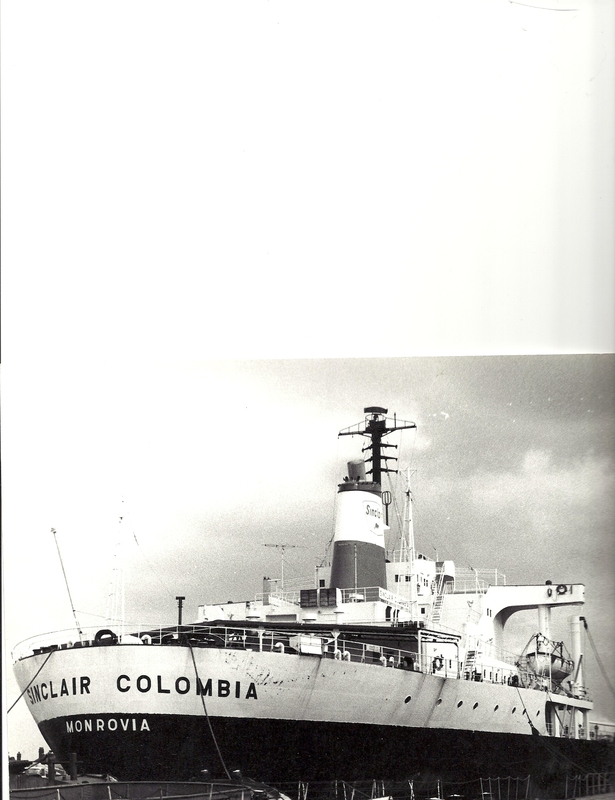 At 58,440 tons deadweight, I am told that this tanker holds the record of the largest ship to use the dry dock (and the largest ship to enter the dock). Great memory jogger. Thanks for posting this photo, Jack.